This past Saturday I hosted a Christmas craft party for my SURF (Sweet, unique, aRsty, friends) Club. I hosted 14 girls, ages 3 to 11. I created stations and put the girls into groups. It’s the easiest way for me to host this many girls at once. The girls made jars of love, ornaments, and graham cracker houses. In my crafting cove, the girls made jars of love as a gift for anyone of their choosing. 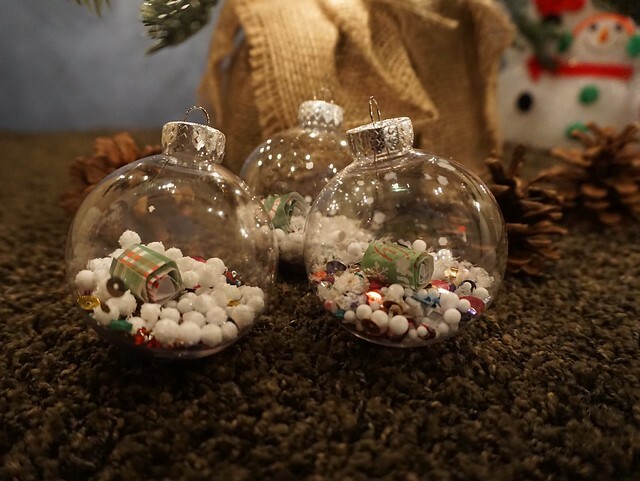 These are decorated jars filled with rolled slips of paper. Each paper states something positive about the receiver. Some examples for a jar of love to one’s mother might be: “I love your hugs!”, “I love your cooking.”, “I love your piano playing.”, etc. Two of the girls made their jars for me! 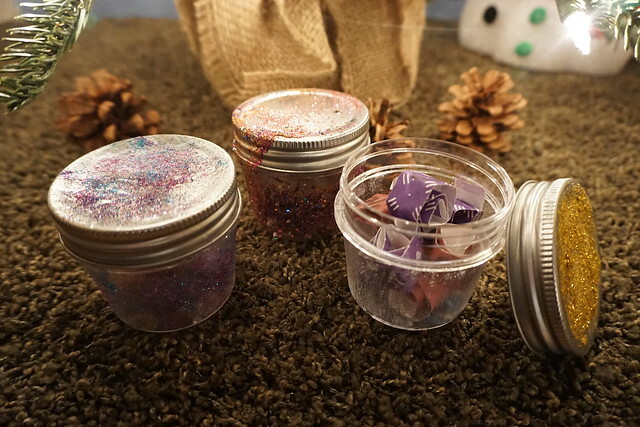 Some of the girls glittered their jars. Others Mod Podged the tissue paper. Both looked pretty. While their jars dried, they wrote on their paper slips and scrolled them up. 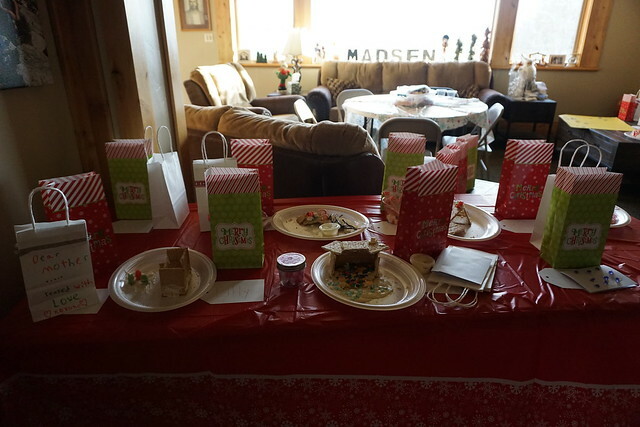 They also decorated gift bags and made cards so it was a complete gift ready to give. “Straten (straighten) my sisters shoes” How sweet is that? At another station, the girls created ornaments from craft kits I bought from Hobby Lobby. The pieces had sticky backs so no glue was necessary. I provided markers for coloring. I also provided paper snowflakes and we discussed how December 1st was Worldwide Service Day. Each girl wrote acts of service she would try to do at home or in her community this week. For many of the girls, it was easier to make tents. The girls filled their bulbs as they chose. They also wrote a wish on a piece of paper and scrolled it up. Since this station didn’t take as long as the others, the girls also made a get well poster for a club member who was sick and missing out on the fun. 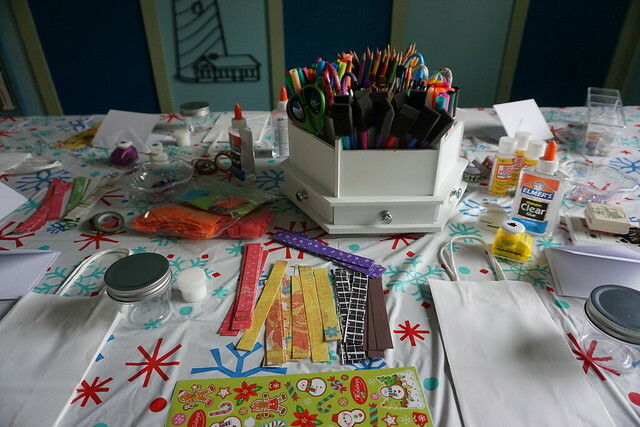 To help the girls keep their creations together in one place, I always provide an extra table. I gave each girl a gift sack to collect their ornaments. That made it easy for them to bring them home as well. The girls also had a snack. 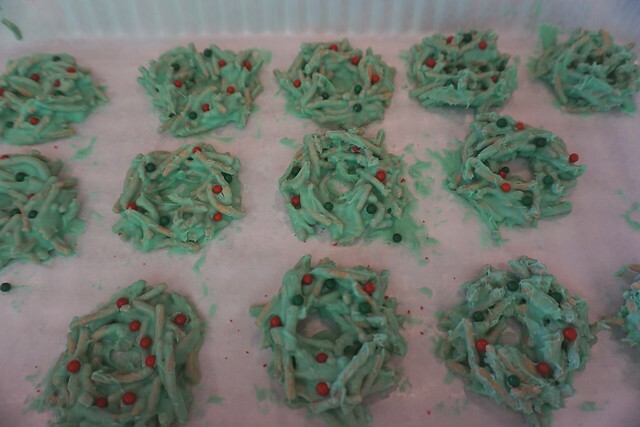 One mom was kind enough to make these delightful wreaths out of crispy noodles. Yum! There was also cheese and crackers, apple and orange slices, and juice. You’re welcome, Camie. Thank you for the great craft! That is a great idea for service! I love how you are inspiring creativity in so many kids. I hosted a gingerbread house party last year and it was so much fun. 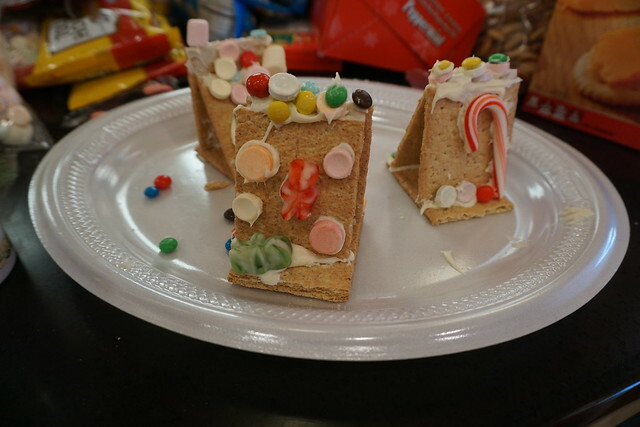 We used graham crackers and every candy imaginable to build the cutest little candy houses. I will definitely be hosting another one this year. How delightful! I love it! Thank you for sharing that with me. TENTS!!!! You’re a genius! We’ve struggled with graham cracker houses year in and year out! This year I’m going to show my kids tents! Thank you! Haha, Anne! 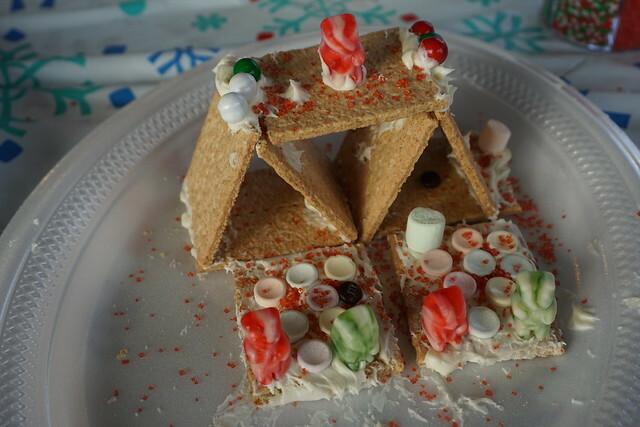 Yes, graham cracker triangles are much easier to build than squares with roofs. You’re welcome! 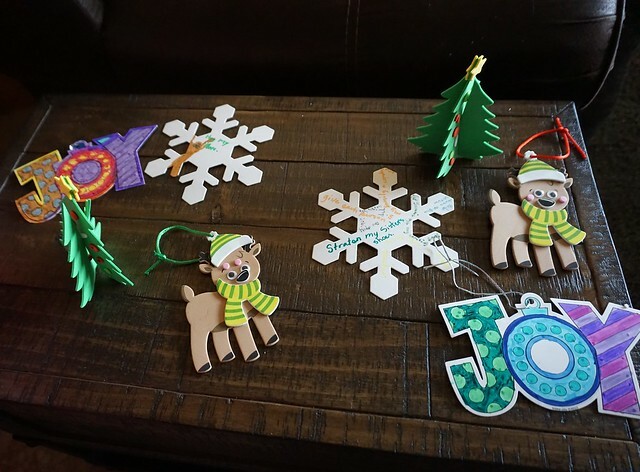 Oh my goodness Camie – these are just wonderful craft ideas! What fun you all must have. The jars, bulbs, and graham cracker houses are just lovely! Great ideas! The girls are so lucky to have you. These are very cute activities, Camie. I’m sure the girls enjoyed making them.